When we want to have our roofs repaired or replaced, we hire a professional to do the work for us. Of course, we also have to make sure that we are hiring a reliable and experienced roofing contractor. We must first do our research before making a decision on who to hire. 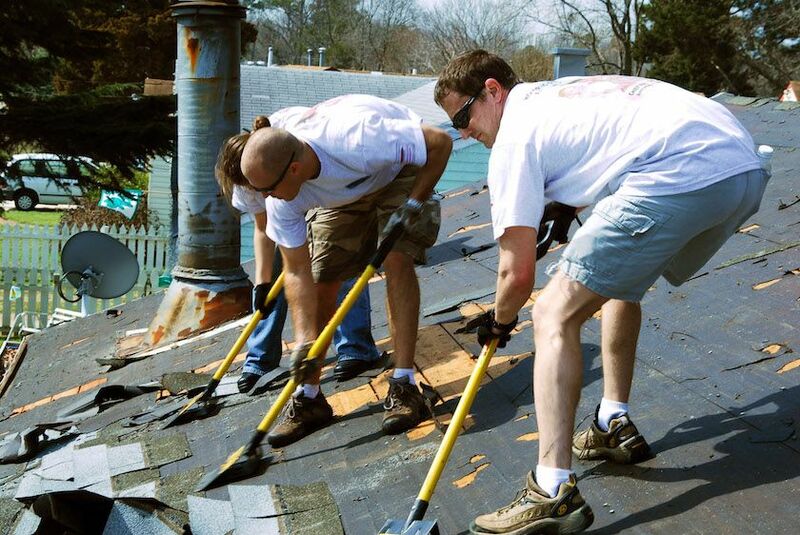 If you want to short track your research, you can always find out more about our roofing service here – https://fayettevillenc.roofingops.com/roofers/. There is no harm at all in asking a company some questions before hiring them. In fact it’s highly recommended. This information will help you find out more about them, their availabilities and how they work. 1. Can I visit a project currently being installed by the crew that will be doing my roof? However smooth the salesman is, it’s the workers that matter, so this gives you a chance to assess their workmanship, the way they keep a jobsite, and their attitudes. “And it probably means the salesman is going to give you one of his best crews, because that’s who’s going to best sell you on hiring his company,” says Dan Bydlon, the president of Craftsmen Home Improvements, a contractor in Edina, Minnesota. Always take your time to make sure you choose the right company before embarking on on a replacement or new installation. This will help you avoid a lot of headache in the future. If you want to find out more about how we can help you with your situation, then please call us on 910-213-3196. Always ask questions when you are in doubt.